1.1 – “Services” means the E Newsletter monthly update service, E Newsletter monthly Copy write Service, Bulk mail send Service provided by the company to the client. 1.2 – The company is BMS MAIL SERVICES a division of BUSINESS MARKETING SERVICES LTD.
1.3 – “Work” means the product of the service provided by the company to the client which encompasses the design of the newsletter. 1.4 – “Client” means any customer be they a person, or a business placing an order with the company. 1.5 – “Contract” means the document provided by the company to the client detailing the particulars of the order along with the terms and conditions, either by or through a combination of hard copy, faxed copy, or email. 1.6 – “Project” means the process of executing the work proposals detailed in the contract. 1.7 – “Server” means the computer server equipment operated by our Server providers in connection with the provision of the Hosting services. 1.8 – “Webspace” means the area on the Server allocated by the company to the client for use by the client to host their E- Newsletter on the Internet. 2.APPLICATION OF THE E NEWSLETTER UPDATE, COPYWRITE AND BULK MAIL SEND TERMS AND CONDITIONS. These terms and conditions apply to all contracts for the sale of all services by the company to the client. No other terms and conditions shall be binding upon the parties.There are no promises, terms, conditions, obligations, oral or written, expressed or implied, other than those contained herein, or confirmed in writing by the company and attached hereto. 2.1 – By signing the contract, the client and the company shall both be bound by these terms and conditions. 2.2 – The company reserves the right to alter, add and subtract from these terms and conditions at any time. 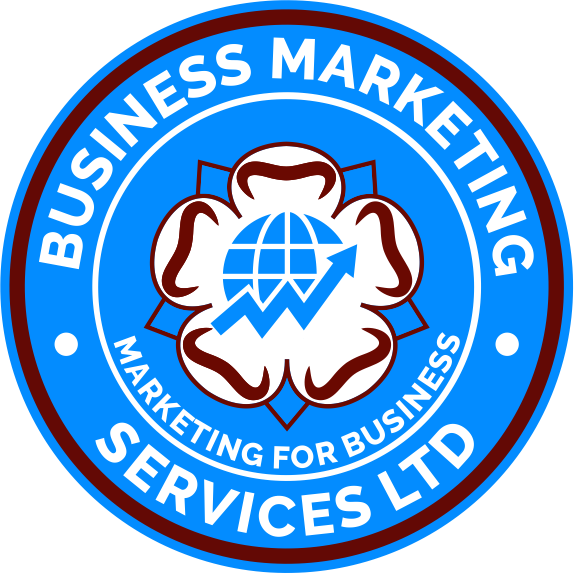 The most up to date terms and conditions are available to view online at www.bmsmarketingltd.co.uk these online terms and conditions replace any previously agreed and it is the responsibility of the client to make themselves aware of the latest terms and conditions. 2.3 – Any variation to these terms and conditions (including any special terms and conditions agreed between the parties) shall be inapplicable unless confirmed in writing by the company. 2.4 – All orders for services shall be deemed to be an offer by the client to purchase services in accordance to these terms and conditions, once the order has been made on no account may the client cancel this contract. 2.5- Signing of the contract order form, receipt of an email to proceed, or pressing submit on an online order form shall be deemed conclusive evidence of the Clients acceptance of these terms and conditions. 3.E-NEWSLETTER UPDATE AND COPYWRITE CONTRACT. 3.1 – The company must be provided with copy to update the Newsletter at least seven days before the scheduled send date as detailed on the order form It is the clients responsibility to furnish the company with this copy in a format that can be used by the company. Where the client chooses to provide his own copy the company requires the final draft of the copy, ie needing no amendments. Where the client chooses to use the Company for copy adequate instructions and material must be provided to create the copy. This cannot be delayed or extended unless otherwise agreed by the company in writing and attached hereto. 3.2 – The contract is for one newsletter update per month, should the client wish to update the newsletter more than once in a given month, the client warrants that it will pay extra for each newsletter to the value agreed in the contract. 3.3- Copywrite is for a maximum one hours Copy write service per month, totaling an tweleve hour annual copywrite fee. Should the client require more than one hours Copy write services, or should the company spend more than one hour a month providing the service, the client warrants that it will pay for any additional time at a rate of £50 per hour after receiving an invoice from the company. Should the client at the time of order require more hours of Copywriting services this will be stated clearly on the order and priced accordingly. 3.4 Where the company is contracted to provide copy for the client, the client is required to sign off and authorize and copy drafts 4 days prior to the scheduled send date. 3.5 – Any Copy write work that is subsequently used after termination of the contract is a breach of copyright, for which the client can be held liable. 3.6 – The Company retains no rights to any concepts or content provided by the client, subsequently the company does not retain the right to re-create, resell or distribute any business concepts, text content or images provided by the client. 4.E-NEWSLETTER UPDATE DEADLINES AND DELAYS. 4.1 – The company cannot be held responsible for delayed delivery on any work that is due to client fault, for instance: Delay in sending the company final copy, delay in sending the company adequate material for copy, delay in signing off the copy draft. The company also cannot be held responsible for any delays that are not solely the fault of the company. 4.2 – After signing this contract if the client needs to shorten, increase, or specify a deadline it is not guaranteed that the company will be able to meet the requirements. 4.3 – If the client wishes to shorten, increase or specify a deadline the company is entitled to make any amendments deemed necessary to the quote provided. 5.1 – Delivery will take the form of the E newsletter being hosted on the BMS Server, whereupon a link will be provided to clients to view. 6. BULK EMAIL SEND -CUSTOMER’S OBLIGATIONS, REPRESENTATIONS, AND WARRANTIES. 6.1 – Opt In Method: Email mailing lists hosted at BMS Mail Services. must use either a Single Opt-In or a Confirmed Opt-In (COI) (sometimes called “double opt-in”) subscription method. If the Client chooses to build lists through co-registration, the client shall ensure that the client receives permission for the the client to send email to a list of email addresses obtained through co-registration subscriptions. The client may be asked to stop mailing to addresses obtained from co-registration sources if those addresses generate an unacceptable number of complaints in the company’s sole discretion which discretion is final and non-reviewable and Customer shall abide by the company’s request in this regard. 6.3 – Forge email header information, or obscure sender information in any way. The client must use a valid return address controlled by the client for all email sent. 6.6 – Send unsolicited bulk email (UBE) from another account to promote a web site hosted at the company’s Services. 6.10 – Send mail with the intention of harassing an individual or overwhelming a server, maintain an open relay, open proxy or insecure form mail script. 6.11 – Full Disclosure of Mailing List Subscriptions: The client shall fully disclose all terms and conditions of each and every mailing list subscription. If the client owns mailing lists, the client shall make adequate disclosures about how subscriber addresses will be used, including whether or not said addresses are subject to sale or trade with other parties. Additionally, the client shall fully disclose the nature and frequency of said mailings. 6.12 – Fully Verified Opt-In Lists: If the client acquires fully verified opt-in lists, the client shall examine the terms and conditions under which the addresses were originally compiled and determine that all recipients have in fact opted-in to the type of mailing list the client intends to operate. Lists must be used for their original purpose. 6.13 – One subscription, One list: The client shall not add any address to other lists without fully verifying the consent of the address owner. The client shall not automatically subscribe existing subscribers to a new list. 6.14 – Active Abuse and Postmaster Email Addresses: The client shall maintain active abuse and postmaster email addresses ([email protected] and [email protected]). The client shall read and act in a timely fashion to all mail sent to those email addresses. 6.15 – Substitution: It is forbidden for a client to substitute content with content from another non-customer. Usage of the company. network is for the sole use of the client. The client shall not use the company network or services for another entity. There is no transfer of services allowed, either temporary or permanent. 6.16 – Questions Regarding Practices: If the client is uncertain if a possible use or action is permitted pursuant to the terms and conditions of this Agreement, The client shall contact and receive permission from the company prior to engaging in any such use or action. The company shall have sole discretion in determining whether such use or action is permitted and the company’s decision in this regard is final and non-reviewable. 7.1 – The full amount of the cost of the order is payable on the signing here-of. 7.2 – If payment of the contract price is unpaid for after 30 days of the due invoice date, the full amount shall immediately become due and payable, the company reserves the right to charge interest at current Barclays Bank rate on any outstanding balances overdue for payment. 7.3 – The right to add to the overdue account the costs incurred by employing an agency or solicitors in recovering that overdue account. On any account not paid within our terms of trading we reserve the right to add to the account any costs incurred by us in instructing an agent or solicitor to act on our behalf in the recovery of the account. 7.4 – All payments becoming due and payable are to be made to the principle place of business of the company, save in the case of standing orders paid directly to the company’s bank as detailed on the standing order form. 7.5 – Where agreed with the company, payment may be made on a monthly basis over 12 months depending on spend, under such circumstances, payment must be made paid by monthly standing order, the monthly amount will be set at the time of order. 7.6 – Where the standing order mandate is not returned 21 days after the order the client will be liable for the full invoice with the invoice due 9 days later. 7.7 – Failure to pay the monthly subscription fee will result in an administration charge of £25.00 +VAT charge for each late/missed payment. If you fail to complete, more than 2 consecutive payments the company is entitled to initiate court proceedings to recover the remaining funds owed to the company until the end of the 12 months. 8. CANCELLATION,CHANGE,CLOSURE OR DISPOSAL OF BUSINESS. 8.1 – The client hereby agrees that this contract cannot be cancelled and in the event of a closure, change of location or change in style or nature of the business this agreement shall still continue and all liabilities hereunder shall accrue to the advertiser. 8.2 The client hereby agrees that this contract cannot be cancelled and in the event of a closure, change of company name, change from a limited company to non-limited company status, change of a non-limited business to a limited company, change of ownership, change of location or change in style or nature of the business this agreement shall still continue and all liabilities hereunder shall accrue to the advertiser. 8.3 – The client hereby agrees that in the event of the disposal of the business the agreement shall continue and the client will endeavor to pass on the terms, obligations and liabilities to any purchaser or successor in the title, in the event the client does not procure such agreement, the liabilities under this agreement shall continue to accrue to the client. 9.1 – The client shall indemnify the company, keep the company indemnified and holds the company harmless from and against any breach by the client of these terms of business. 9.2 – Any claim brought against the client by a third party resulting from the provision of work by the company to the client and the client’s use of the work, without limitation, all claims, actions, proceedings, losses, liabilities, damages, costs, expenses, howsoever suffered or incurred by the client, the company shall not be held liable for. 10.1 – The company shall not be held liable for failing to perform to the contract for any reason that is not solely the fault of the company. 10.2 – In any event no claim shall be brought unless the client has notified the company of the claim within one year of it arising. 10.3 – The company shall not be held liable in any case for any damages, loss of anticipated profits, loss of revenue, contracts or any other inconsequential damages that arise from any cause associated with the company or the property of the company. 10.4 – All property supplied to the company by the client or on behalf of the client shall remain at the client’s risk, The client should insure accordingly. 10.5 – The company shall not be held liable for any leak of information or confidential material provided by the client, this includes, a leak or malpractice of any kind by a third party that the company has outsourced work to, domain loss due to hacking or as a result of hacking by a third party, password leaking due to theft or any circumstance that is not solely the fault of the company. 11.1 – This agreement shall be governed by and construed in accordance with English law and the client hereby submits to the non-exclusive jurisdiction of the English courts. 12.1 – The Company retains the right to accept contracts from a similar business trade occupation or profession to that of the client. 13.1 – Nothing in this agreement shall confer, nor do the parties intend it to confer, any enforceable right on any third party and the Contracts (Rights of Third Parties) Act 1999 shall not apply. 13.2 – This Contract shall be governed by the Laws of England and the parties submit to the exclusive jurisdiction of the English Courts in relation to any dispute hereunder. 14.1 – Any notice to be given by either party to the other may be sent by email, fax or recorded delivery to the address of the other party as appearing in this agreement or such other address as the party may from time to time have communicated to the other in writing.